(Evelyn) Dora Lucas who in 1906 married Morrice Lionel Man was the daughter of Alfred and Jane (Drewet) Lucas and the sister of the essayist E. V. Lucas. Alfred was born on 1 September 1841 in Southwick, Sussex and practiced as an insurance broker in Hove. His wife, Jane Drewett, was born on 7 July 1844 in Luton, Bedfordshire. The Lucas family originated in Hitchin, Herts, where they can be traced back to the sixteenth century as maltsters and millers and later brewers and bankers. They were early members of the Society of Friends (Quakers) and William Lucas (1643-1706) was twice imprisoned in a Hertford jail for allowing a Quaker Meeting to take place in his house. The Drewett family were also long-time Quakers. Edward Lucas, father of Alfred Lucas and grandfather of Dora (Lucas) Man, was born in Hitchin but migrated to Southwick, Sussex, married into the Rickman family of Lewes (also Quakers) and became a wealthy ship owner. All his children were born in Sussex but at some point after 1861 he returned to his native region and became a partner in the Luton branch of the Lucas/Sharples bank, which had its headquarters in Hitchin. Alfred Lucas was Edward’s second son, and he and Jane Drewett were married on 22 May 1866 at the Friends Meeting House at Woburn Sands, Bedfordshire. Their seven children, of whom Evelyn Dora was the youngest, were brought up as Quakers and educated at Quaker schools, though most of them left the Society of Friends in adult life. Their second child was Edward Verrall Lucas (E. V. Lucas, 1868-1938), author and essayist, and later Chairman of the publishing firm Methuens. The sixth child, Percival Drewett Lucas, married Madeleine Meynell, a daughter of the writer and critic Wilfred Meynell and his wife Alice nee Thompson, the poet and essayist. Percival Lucas was a folklorist and genealogist. He is said to have been the basis of the central character in D.H .Lawrence’s short story, ‘England, My England’. In a letter to Catherine Carswell, Lawrence regretted having written the story because it provided an unfavourable portrait of Percy Lucas who was killed on the Somme in 1916. 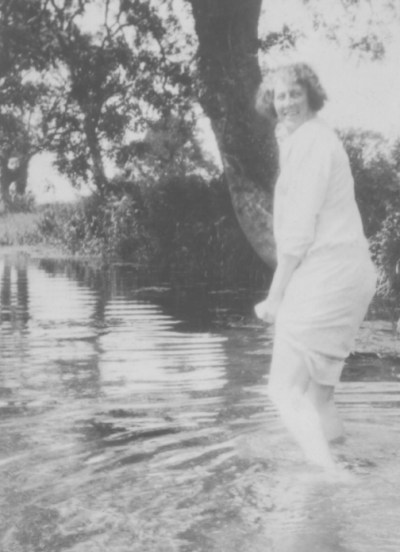 Percival’s sister-in-law was the essayist Viola Meynell. Alfred Lucas died in Hove, Sussex, in 1895 aged only 54. 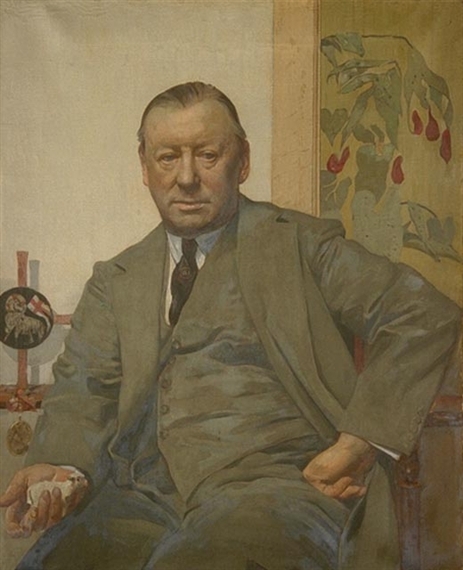 Of him it was rather unkindly said (according to the Hitchin historian Reginald Hine) that he “.. could also have been a partner [in the Hitchin Bank] if he had behaved “with proper industry and decorum and had propitiated the local directors.” His widow survived him by nearly 30 years. 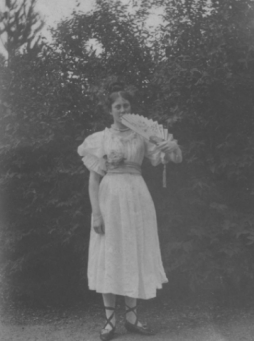 Below is Evelyn Dora Lucas ‘in costume’ circa 1905, before her marriage to Morrice Man.